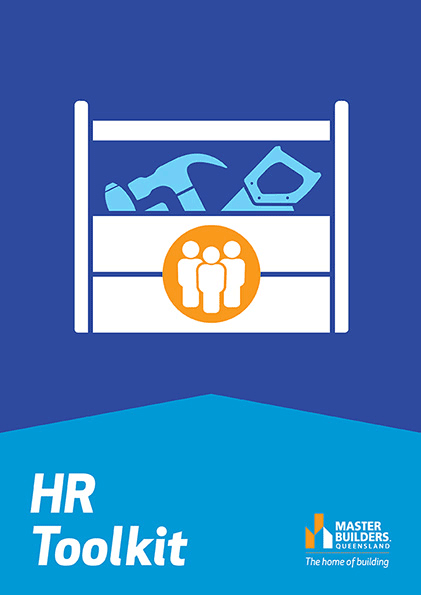 Master Builders HR Toolkit is here to make your job easier. With a complete suite of documents and templates to help human resource, payroll staff, supervisors and managers through the employment lifecycle, it’s a one-stop-shop for managing your employees, improving your professionalism and making sure you’re compliant. It’s got everything – policies, procedures, checklists, forms, letters – you name it. Plus, free document upgrades are included for the first 12 months after purchase. It’s supported with 12 months of free document upgrades from the date of purchase in the event of legislative updates. Get it now on USB for just $99 plus postage and you’ll have the added support of our HR experts just a phone call away to help you implement it.